Systel Cloud Servers enable your business to tap into resource that are standing by and ready to work in a short amount of time. Our virtualization servers on our enterprise class hardware, your business can acquire more computing resources, RAM, CPU and bandwidth exactly when it is needed. By replacing the reliance on a server’s physical power and space, you never need to worry about provisioning, setting up, kick starting, managing and paying for a new server with every usage spikes. 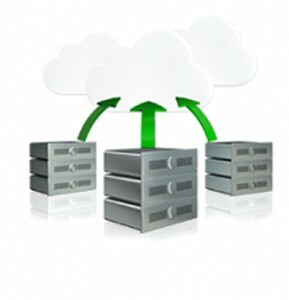 Our Cloud Servers provide the highest levels of features, performance, security and uptime. Our Cloud Servers are hosted in data centres across the Europe and North America with a dedicated global super-fast 10Gbps backbone with SLA of 99.99% network uptime. Build your own cloud of server resources quickly and easily within our easy-to-use portal, setting triggers for demand and scaling of resources – providing a “hands-free” approach. Manage DNS records with easy, enabling users quick access to your sites whilst maintaining high levels of security. Select from over 100 applications to automatically install with time spent customising rather than installing and configuring with professional support available on installed applications. Secure your servers with custom firewall rules and reduce the load on your cloud servers.